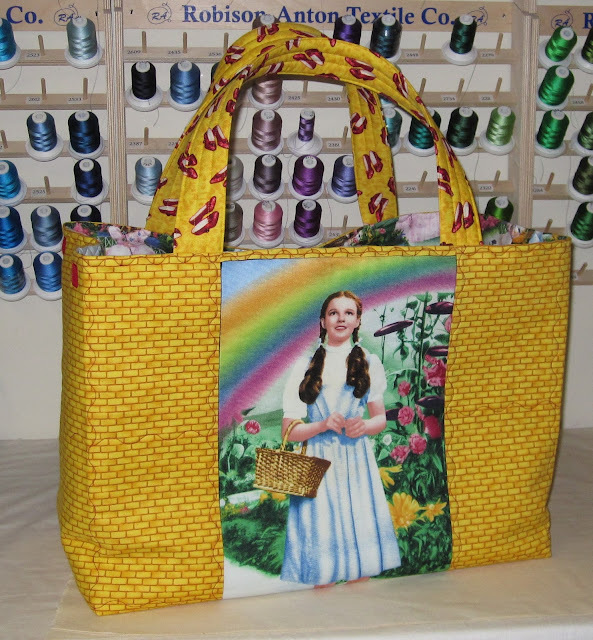 Finished this commissioned Wizard of Oz bag, but its so dang cute I want to keep it for myself! 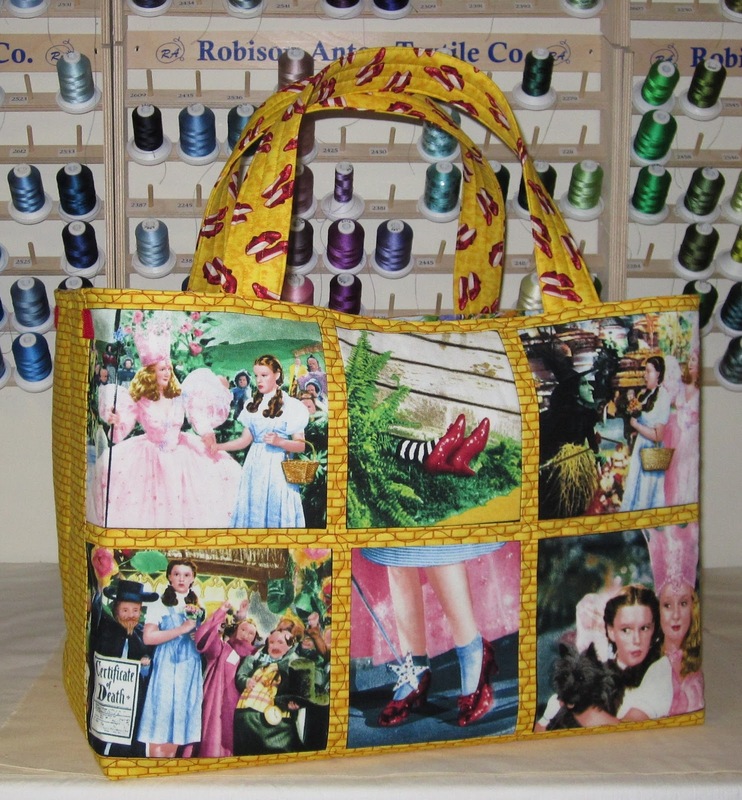 I will get three other bags out of the rest of the two panels I bought from this fabric line. Each will be one-of-a-kind cause I only bought one of each panel and this was a couple years ago so you can't get it anymore! Don't ya just want to grab it and start skipping!! I just got this bag for my birthday and I am speechless. It is too beautiful!! Thank you very much!! It is already one of my treasures.